Protecting your endpoints against today's cyber threats is no easy feat. Many of them didn't even exist a few years ago. Some didn't even exist yesterday. 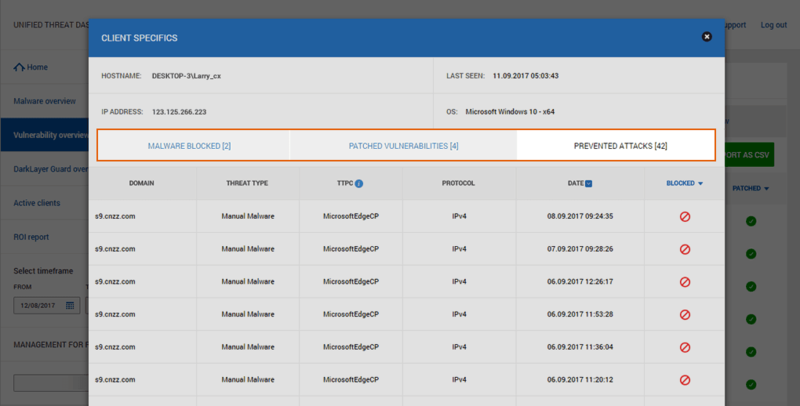 Enables you to detect advanced malware, regardless of the attack vector (exploits, phishing, etc.). Performs an in-depth analysis of all your incoming and outgoing HTTP, HTTPS and DNS traffic. Works proactively during every stage of an attack to detect APTs, ransomware strains, botnets, Trojans and other known and unknown malware. Provides alerts and detailed insights about your vulnerable endpoints, so you can mitigate risks and achieve legal compliance. 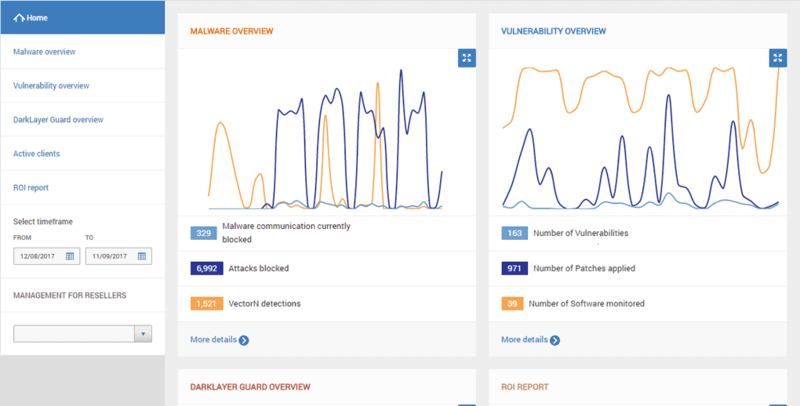 Using thorough traffic analysis, VectorN Detection matches Machine Learning insights with Indicators of compromise/attack to uncover even hidden or dormant 2nd generation malware. Our goal is to help you fill the gap left by deficient reactive solutions. Powered by VectorN Detection, Heimdal CORP ensures proactive protection against malware independently of system processes. "Heimdal is a core part of our protection environment"
"One of the key things we noticed is how the Heimdal software has evolved over time. For us Heimdal continuously evolves the product in terms of threat protection, detection and uptime management and offers us solutions, which are key to our environment." "Heimdal mitigates risks before they turn into fully-blown cyber-attacks"
"The main reason we went for Heimdal is that it offered another layer of security (patch management and traffic monitoring/blocking at the network interface level) for us to counter-act the very real and numerous threats of ransomware that are out there at the moment." "Threat filtering keeps finding threats we weren't even aware that we had"
"The ease of use is phenomenal and, once it is set, it just goes by itself. Amazing time saver, without a doubt. 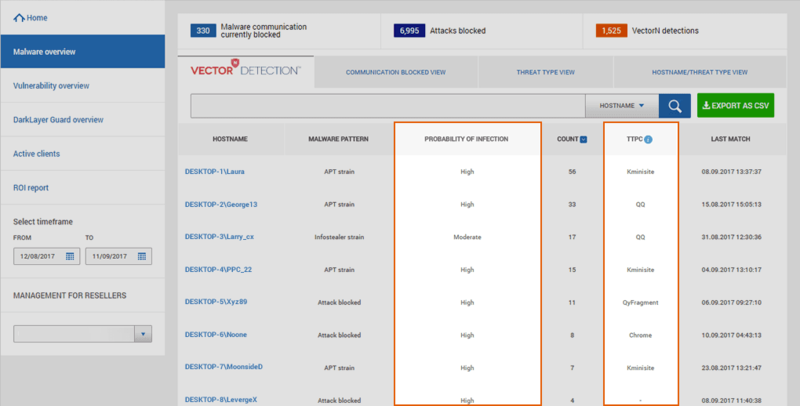 With the threat filtering now also in place, we can see how much our antivirus and perimeter firewall systems are actually missing out. And the fact that Heimdal works anywhere you go is just great." The Heimdal™ CORP suite focuses on closing vulnerabilities and mitigating exploits, while constantly blocking incoming attacks, data leakage and Command & Control server communication. 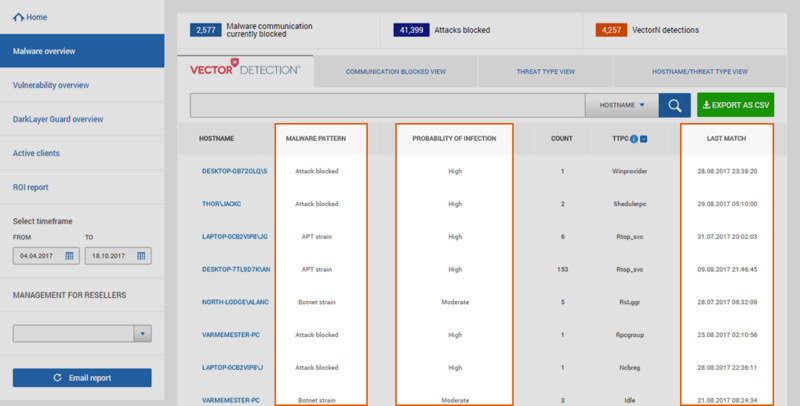 Compatibility: VectorN Detection works across-the-board on any Windows™ device. 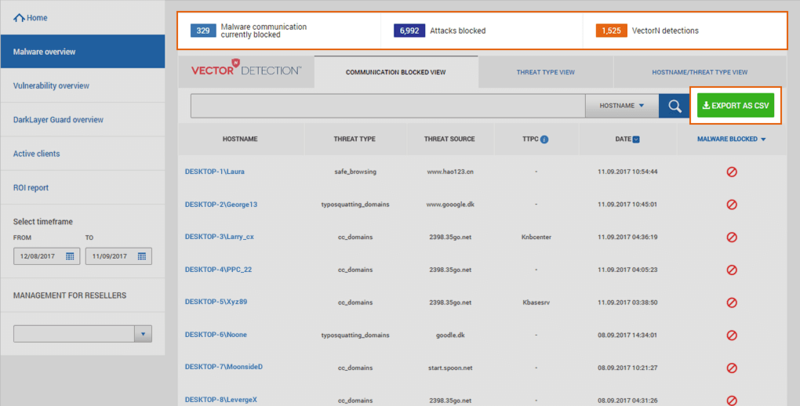 Code Autonomous Protection™: VectorN Detection does not rely on code scanning or auditing system processes to detect and block malware.